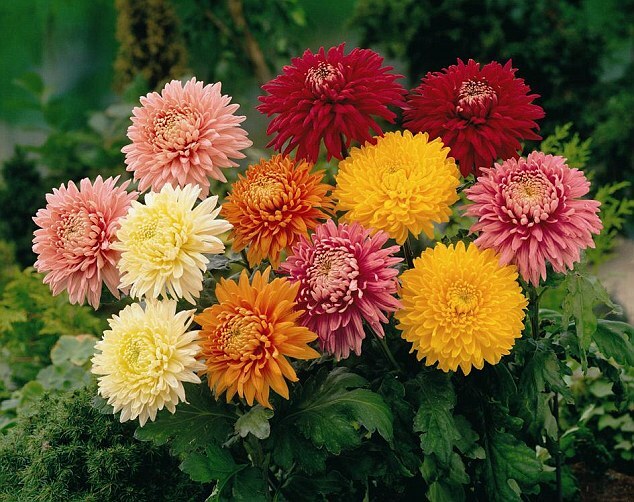 Messages of chrysanthemums – Queen of Autumn. Messages such as chrysanthemums flowers that adorn our gardens with bright colors from July to late autumn, even after the first snow fell. They remind us of the past summer in the sun. Japanese Chrysanthemum Kiku ,, ,, means Sun . With the magical properties of the flower is related to the legend of the origin of Japan. ,, In ancient China ruled cruel emperor. He learned that one of the nearby islands have chrysanthemum plant from which juice can be prepared life elixir. The emperor sent to the island 300 young girls and adolescents to bring a flower as only a man with a pure heart could take it off. Fascinated by the nature of the island, young people are not returned and founded a new state-Japan. “This legend explains the love of the Japanese for chrysanthemum. With its elegance, it has become a symbol of imperial power. In China, the chrysanthemum is also a favorite flower, a symbol of wisdom and longevity. Vietnam – purity of soul and a clear mind. In Europe, the flower was brought for the first time in the 17th century by French explorer Pierre Blanshier. What are the messages of chrysanthemums, we should know? 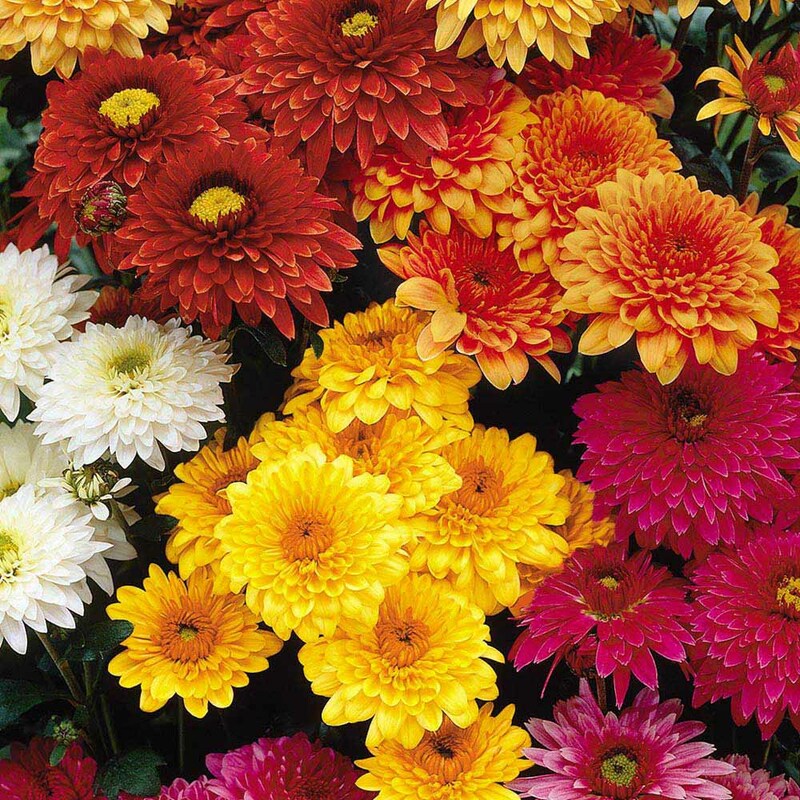 Colors of chrysanthemums is extensive. White, blue, red to a wide range of yellow tones. Easy to grow in pots and gardens and recommended flowers for bouquets. MY HEART IS YOURS! This is the message of red chrysanthemums. If you want to share your feelings with a loved one, the bouquet of red chrysanthemums is the best way to do it. With this gesture you say “I shared my feelings with you. My heart is yours . You want to give you something else. “The white chrysanthemums symbolize true love, bronze – an expression of excitement and yellow are the message of a secret admirer. Tea chrysanthemums. Strange as it sounds to us in Asia is prepared sweet drink of white and yellow chrysanthemums – chrysanthemum tea, which is used to successfully treat influenza. From the leaves of the flower in China prepare salads and snake soup. Healing properties of chrysanthemum. Chrysanthemum is a flower healer. It emits energy that contributes to better concentration of thought, purifies the air and soothing. Chrysanthemums, these proud flowers attract glances inspire peace and harmony, born mood.